Lately the Instruction Forums that has generated a volume of REPORT! 'ed posts. 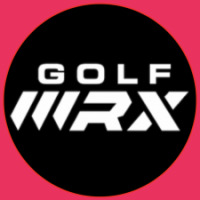 GolfWRX’s Instruction Forums have a treasured history of ideas, guidance, and debate. People disagree about the swing and swing theories. We will continue to support, preserve, and encourage constructive contributions within our rules. We simply do not have the resources to do the investigative research it requires to determine who infringed on who. The Instruction Forum is generally not the traditional personal attacks we see in the other forums. I see golfers fighting about their own complicated swing theories, so it's very hard to know who's on the high road or not. High maintenance users -- posting and REPORTing -- will be curbed. So please do NOT GET CAUGHT IN THE FRAY here and tone down the rhetoric. To be clear we are not trying to be nasty here. We are not saying not to report threads that should be reported. We are saying that there needs to be balance and much more civility and you can self moderate where that line is. We will be issuing time off warnings for those that do not.